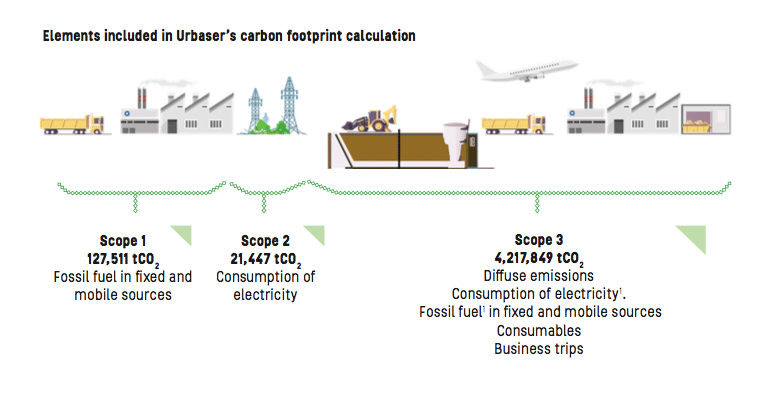 Since 2013, Urbaser has quantified its impact on climate change annually thanks to Urge CO2, our own tool that calculates the carbon footprint of all our centres and services. This tool is unique to the sector, and lets us identify our GHG (Greenhouse Effect Gases). Since 2013, Urbaser has quantified its impact on climate change annually thanks to Urge CO2, our own tool that calculates the carbon footprint of all our centres and services. This tool is unique to the sector, and lets us identify our GHG (Greenhouse Effect Gases). This data is verified by an outside entity, as per ISO 14064:2012. 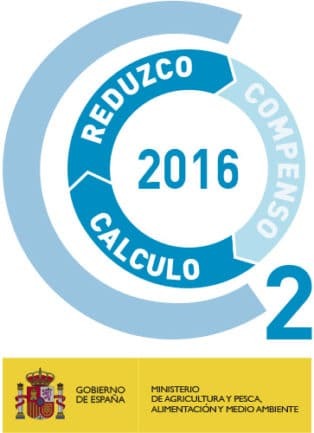 In addition, Urbaser is registered with the Carbon Footprint Registry of the Spanish Office on Climate Change, which reports to the Ministry of Agriculture, Fisheries, Food, and the Environment (MAPAMA, for its Spanish original). This step has led to the company being issued a distinct seal indicating it quantifies its GHG (Greenhouse Effect Gas) emissions according to ISO 14064:2006. We have reduced our energy use by 1.87 GWh thanks to energy efficient measures implemented between 2016 and 2017. Urbaser works on initiatives that favour conservation and efficiency in order to reduce its energy consumption. In 2017, 1,379,886 tCO2 were avoided, which represents a 10.1% increase over emissions avoided in 2015. 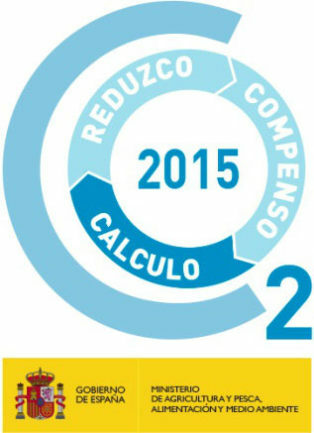 The company is backed by the prestigious “Reduzco” seal (‘I reduce’, in Spanish), which is awarded by the Ministry of the Environment, Food, Agriculture, and Fisheries in recognition of the environmental work it carried out between 2012-2016, when it was able to minimise its harmful emissions through hard work and dedication. Since its creation in 2013, the URGE CO2 measurement tool has allowed us to identify GHG emissions by activity, facility, and process used by the various companies in the Group. With this, we have improved analysis, and focused our efforts on the processes that need it most.